SECTION 1. The name of the Club shall be the French Bull Dog Club of America. (e) to conduct sanctioned matches and specialty shows and companion events under the Rules and Regulations of the American Kennel Club and promote the French Bulldog as a versatile companion by encouraging participation in AKC Companion Events and Therapy Dog Program. SECTION 3. The Club is a not-for-profit organization and no part of the net earnings of the Club shall inure to the benefit of, or be distributable to its members, or other private persons, except that the Club shall be authorized and empowered to pay reasonable compensation for services rendered and to make payments and distributions in the furtherance of the objectives set forth in Section 2. SECTION 1. There shall be five (5) types of membership open to persons who are in good standing with the American Kennel Club, Inc. and who subscribe to the purposes of this Club. (a) Individual Membership: open to persons eighteen (18) years of age and older who will enjoy all the privileges of the Club including the right to vote, hold office, and count in the determination of a quorum. (b) Junior Membership: open to persons 9-17 years of age. Junior Members cannot vote, hold office, and do not count in the determination of a quorum. Upon reaching their 18th birthday, Junior Members may apply to convert to the appropriate membership. (c) Life Membership: open to persons seventy who are (70) years of age and older and have been a member of the Club for the previous ten (10) consecutive years. Life Members shall not pay dues but enjoy all the privileges of the Club including the right to vote, hold office, and count in the determination of a quorum. (d) Foreign Membership: open to persons eighteen (18) years of age and older who reside outside of, and are not citizens of, the United States. Foreign Members cannot vote, hold office, and do not count in the determination of a quorum except for those who joined prior to Feb. 13, 2005. Dues will be set to include all additional postal expenses. 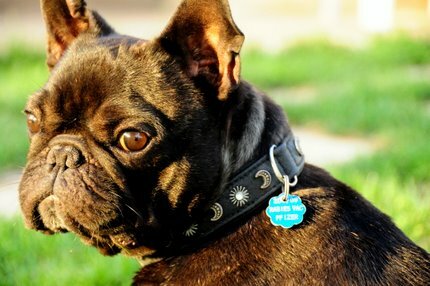 (e) Local Club Membership: open to local French Bulldog Clubs that have a minimum of twenty (20) members and must have received recognition from the American Kennel Club, Inc. to hold licensed Specialty Events or approved to hold Sanctioned B Events. SECTION 2. Dues. Individual Membership dues shall not exceed $75.00. Foreign Membership dues shall not exceed $75.00 plus the additional postal expenses. Local Club Membership dues shall not exceed $100.00. Dues shall only be changed by mailed (US Postal) secret ballot to the membership. The vote required to change the dues shall be a majority of the membership voting. SECTION 3. Election to Membership. (a) Each individual applicant for membership shall apply on a form as approved by the Board of Directors, which shall provide that the applicant agrees to abide by the Constitution and By-laws and the rules of the American Kennel Club. The application shall state the name, address, and occupation of the applicant, and it shall carry the endorsement of two members in good standing. Accompanying the application, the prospective member shall submit dues payment for the current year and a signed and dated copy of the FBDCA Code of Ethics. Applicants may be elected at any meeting of the Board of Directors or by written vote of the Directors by mail. Affirmative votes of 2/3 of the Directors present at a meeting of the Board or of 2/3 of the entire Board voting by mail, shall be required to elect an applicant. (b) A local club, after complying with the eligibility requirements, must apply to the Secretary by mailing a letter of request along with a copy of its By-laws, a list of its officers, directors, members and their addresses. Such application must be accompanied by the current dues. Affirmative votes of 2/3 of the Directors present at a meeting of the Board or 2/3 of the entire Board voting by mail, shall be required to elect a local club into membership. An applicant who has received a negative vote by the Board may be presented by one of the applicant’s endorsers at the next Annual Meeting of the Club and the Club may elect such applicant by favorable vote of 75% of the members present. (1) by resignation. Any member in good standing may resign from the Club upon written notice to the secretary, but no member may resign when in debt to the Club. Dues obligations are considered a debt to the Club and become incurred on the first day of each fiscal year. (2) by lapsing. A membership will be considered as lapsed and automatically terminated if such member’s dues remain unpaid 60 days after the first day of the fiscal year; however, the Board may grant an additional 30 days of grace to such delinquent members under extraordinary circumstances. In no case may a person be entitled to vote at any Club meeting whose dues are unpaid as of the date of that meeting. (3) by expulsion. A membership may be terminated by expulsion as provided in Article VI of these By-laws. (2) by lapsing. A membership will be considered as lapsed and automatically terminated if such member’s dues remain unpaid 90 days after the first day of the fiscal year; however, the Board may grant an additional 90 days of grace to such delinquent members in meritorious cases. In no case may a person be entitled to vote at any Club meeting whose dues are unpaid as of the date of that meeting. (3) by expulsion. The Board may expel a club from membership if evidence establishes that such club has ceased to maintain its eligibility as defined in Article I, Section 1e of these By-laws*, and may expel for cause, provided such club is first accorded an opportunity to be heard. In either case, an affirmative vote of 2/3 of the Directors present and voting at a meeting of the Board or an affirmative vote of 2/3 of the entire Board voting by mail shall be required to expel. * A local club shall be deemed to have forfeited its eligibility for membership if such club fails to hold an AKC licensed or sanctioned event for a period of two years. SECTION 1. Annual Meeting. The Annual Meeting of the Club shall be held in conjunction with the Club’s National Specialty Show (September, October or November) if possible, at a place, date, and hour designated by the Board of Directors. Written notice of the Annual Meeting shall be mailed by the Secretary, either electronically or by the US Mail, to each member at least 30 days prior to the date of the meeting. The quorum for the annual meeting shall be 10% of the members in good standing. SECTION 2. Special Club Meetings. Special Club Meetings may be called by the President or by a majority vote of the members of the Board who are present at a meeting of the Board or who vote by mail; or shall be called by the Secretary upon receipt of a petition signed by 10% of the members of the Club who are in good standing. Such meeting shall be held at such place, date, and hour as may be designated by the Board of Directors. Written notice of such meeting shall be mailed by the Secretary either electronically or by US Mail at least 14 days and not more than 30 days prior to the meeting. The notice of the meeting shall state the purpose of the meeting and no other club business may be transacted. The quorum for such a meeting shall be 10% of the members in good standing. SECTION 3. Board Meetings. Meetings of the Board of Directors shall be held at such times and places as are designated by the President or by a majority vote of the entire Board. Written notice of each such other meeting shall be mailed either electronically or by the US Mail by the Secretary to each member of the Board at least 14 days prior to the date of the meeting. The quorum for a Board meeting shall be a majority of the Board voting in person or by mail. SECTION 4. The Board of Directors may conduct its business by mail or signed fax through the Secretary or by teleconference call. Business (voting) of the Board may be conducted at meetings, teleconferences, or through mail, fax, or e-mail. E-mail cannot be utilized for voting on items which our By-laws require be voted on by secret vote. All business conducted through the mail, signed fax, or by teleconference must have written approved minutes of such actions for the Club’s records. SECTION 1. Board of Directors. The Board shall be comprised of the President, Vice-President, Secretary, Treasurer, and four Directors, all of whom shall be members in good standing who are residents of the United States. They shall be elected for two-year terms at the Club’s Biennial Election as provided in Article IV, and shall serve until their successors are elected. General management of the Club’s affairs shall be entrusted to the Board of Directors. An Assistant Secretary or Secretaries may be appointed and assigned such of the Secretary’s duties as are authorized by the Board of Directors. The Assistant Secretary(s) shall not be member(s) of the Board. SECTION 2. Officers. The Club’s Officers, consisting of the President, Vice-President, Secretary, and Treasurer shall serve in their respective capacities both with regard to the Club and its meetings and the Board and its meetings. (a) The President shall preside at all meetings of the Club and of the Board, and shall have the duties and powers normally appurtenant to the office of President in addition to those particularly specified in these By-laws. (b) The Vice-President shall have the duties and exercise the powers of the President in case of the President’s death, absence, or incapacity. (c) The Secretary shall keep a record of all meetings of the Club and of the Board and of all votes taken by mail and of all matters of which a record shall be ordered by the Club. He/she shall have charge of the correspondence, notify members of meetings, notify new members of their election to membership, notify Officers and Directors of their election to office, keep a roll of the members of the Club with their addresses and carry out such other duties as are prescribed in these By-laws. (d) The Treasurer shall collect and receive all monies due or belonging to the Club. He/she shall deposit the same in a bank approved by the Board, in the name of the Club. His/her books shall at all times be open to inspection of the Board and he/she shall report to them at every meeting the condition of the Club’s finances and every item of receipt or payment not before reported; and at the Annual Meeting he/she shall render an account of all monies received and expended during the previous fiscal year. The Treasurer shall be insured in such amount as the Board of Directors shall determine. SECTION 3. The Delegate to the American Kennel Club should attend the American Kennel Club Delegates’ meetings. The Delegate shall make a complete report to the Secretary. The Delegate is not a member of the Board. SECTION 4. Vacancies. Any vacancies occurring on the Board or among the officers during the year shall be filled until the next Biennial Election by a majority vote of all the then members of the Board; except that a vacancy in the office of President shall be filled automatically by the Vice-President and the resulting vacancy in the office of Vice-President shall be filled by the Board. SECTION 1. Club Year. The Club’s fiscal year shall begin on the first day of January and end on the last day of December. The Club’s official year shall begin immediately at the conclusion of the Biennial Election, and shall continue through the next Biennial Election. The elected Officers and Directors shall take office immediately upon the conclusion of the election and each retiring Officer shall turn over to his/her successor in office all properties and records relating to that office within thirty (30) days after the election. SECTION 2. Voting. At the Annual Meeting or at a special meeting of the Club, voting shall be limited to those members in good standing who are present at the meeting, except for the Biennial Election of Officers, Delegate, and Directors, amendments to the Constitution and By-laws, and the standard for the breed which shall be decided by written ballot cast by mail. Voting by proxy shall not be permitted. The Board of Directors may decide to submit other specific questions for decision of the members by written ballot cast by mail. SECTION 3. Biennial Election. At the Biennial Election of Officers and Directors and Delegate to the American Kennel Club, who may but need not be, a Director or Officer of the Club, the vote shall be conducted by secret ballot. Ballots to be valid must be received by the Secretary or by an independent business or organization qualified to count ballots designated by the Board by January 1. Ballots shall be counted by inspectors of election appointed by the Board that are in good standing with the Club. Inspectors of election shall not be members of the current Board and shall not be a candidate on the current ballot. The Board may designate an independent business or organization to receive and count ballots of the Biennial Election. The person receiving the largest number of votes for each position shall be declared elected. If a nominee receiving the most votes for the office for which he or she is running is unable to serve for any reason, such nominee shall not be elected, and the vacancy so created shall be filled by the new Board of Directors in the manner provided by Article III, Section 4. SECTION 4. Nominations and Ballots. No person may be a candidate in a Club election who has not been nominated in accordance with these By-laws. A Nominating Committee shall be chosen by the Board of Directors before September 15 of each year in which an election is to be held. The Committee shall consist of three members from different areas of the U.S.A. and two alternates, all members in good standing, no more than one of whom may be a member of the current Board of Directors. The Board shall name a chairman for the Committee. The Nominating Committee may conduct its business by mail, fax, e-mail, or teleconference. (a) The Nominating Committee shall nominate from among the eligible members of the Club, one candidate for each office and for each Director’s position on the Board of Directors, and a candidate for the Delegate to the American Kennel Club and shall procure the acceptance of each nominee so chosen. The Committee should consider geographical representation of the membership on the Board to the extent that it is practicable to do so. The Nominating Committee shall submit the slate of candidates along with the states in which they reside to the Secretary in a timely manner, so that, the Secretary can send the slate by mail or by e-mail to every member no later than October 15. (b) Additional nominations of eligible members may be made by written petition(s) addressed to the Secretary and received at his/her regular address on or before November 15, signed by five members and accompanied by the written acceptance of each such additional nominee signifying his/her willingness to be a candidate. Except for the Delegate, who may also run for a position on the Board, no person shall be a candidate for more than one position. (c) If no valid additional nominations are received by the Secretary on or before November 15, the Nominating Committee’s slate shall be declared elected at the time of the Biennial Election, and no balloting will be required. (d) If one or more valid additional nominations are received by the Secretary on or before November 15, he/she or an independent professional firm designated by the Board shall, on or before December 1, mail to each member in good standing a ballot listing all of the nominees for each position in alphabetical order, with the names of the states in which they reside, together with a blank envelope and a return envelope addressed to the Secretary or designated professional firm marked “Ballot” and bearing the name of the member to whom it was sent. So that the ballots may remain secret, each voter, after marking his/her ballot, shall seal it in the blank envelope which in turn shall be placed in the second envelope addressed to the Secretary or designated professional firm. The inspectors of election or designated professional firm shall check the returns against the list of members whose dues are paid for the current year prior to opening the outer envelopes and removing the blank envelopes, and shall certify the eligibility of the voters as well as the results of the voting which shall be announced after the Biennial Election. (e) Nominations cannot be made for the Biennial Election in any manner other than as provided above. SECTION 1. The Board may each year appoint standing committees to advance the work of the Club in such matters as dog shows, companion events, trophies, annual prizes, membership and other fields which may well be served by committees. Such committees shall always be subject to the final authority of the Board. Special committees may also be appointed by the Board to aid particular projects. All committees appointed by the Board may be dissolved by a majority vote of the Board. SECTION 2. Any committee appointment may be terminated by a majority vote of the full membership of the Board upon written notice to the appointee, and the Board may appoint successors to those persons whose services have been terminated. SECTION 1. American Kennel Club Suspension. Any member who is suspended from any privileges of the American Kennel Club automatically shall be suspended from all privileges of this Club for a like period. SECTION 2. Charges. Any member may prefer charges against a member for alleged misconduct prejudicial to the best interests of the Club or the breed. Written charges with specifications must be filed in duplicate with the Secretary together with a deposit of $25 which shall be forfeited if such charges are not sustained by the Board or a Committee following a hearing. The Secretary shall promptly send a copy of the charges to each member of the Board or present them at a Board meeting, and the Board shall first consider whether the actions alleged in the charges, if proven, might constitute conduct prejudicial to the best interest of the Club or the breed. If the Board considers that the charges do not allege conduct which would be prejudicial to the best interest of the Club or the breed, it may refuse to entertain jurisdiction. If the Board entertains jurisdiction of the charges, it shall fix a date of a hearing by the Board or a Committee of not less than three members of the Board not less than three (3) weeks nor more than six (6) weeks thereafter. The Secretary shall promptly send one copy of the charges to the accused member by certified mail together with a notice of the hearing and an assurance that the defendant may personally appear in his/her own defense and bring witnesses if he/she wishes. SECTION 3. Board Hearing. The Board or Committee shall have complete authority to decide whether counsel may attend the hearing, but both complainant and defendant shall be treated uniformly in that regard. Should the charges be sustained after hearing all of the evidence and testimony presented by the complainant and the defendant, the Board or Committee may impose the following penalties by a majority vote of those present. The Board or Committee may issue a reprimand, may suspend the defendant from all privileges of the Club for one (1) or up to six (6) months from the date of the hearing, or may suspend the defendant from all privileges of the Club until the next Annual Meeting if the Annual Meeting is going to be longer than six months from the date of the hearing. And, if it deems that punishment insufficient, it may also recommend to the membership that the penalty be expulsion. In such case, the suspension shall not restrict the defendant’s right to appear before his fellow members at the ensuing Club meeting which considers the recommendation of the Board or Committee. Immediately after the Board or Committee has reached a decision, its findings shall be put in written form and filed with the Secretary. The Secretary, in turn, shall notify each of the parties of the decision and penalty, if any. SECTION 4. Expulsion. Expulsion of a member from the Club may be accomplished only at the Annual Meeting of the Club following a hearing and upon the recommendation of the Board or Committee as provided in Section 3 of this Article. The defendant shall have the privilege of appearing in his/her own behalf though no evidence shall be taken at this meeting. The President shall read the charges and findings and recommendations, and shall invite the defendant, if present, to speak in his/her own behalf. The meeting shall then vote by secret written ballot on the proposed expulsion. A 2/3 vote of those present and voting at the Annual Meeting shall be necessary for expulsion. If expulsion is not so voted, the suspension shall stand. SECTION 1. Amendments to the Constitution and By-laws and to the standard for the breed may be proposed by the Board of Directors or by written petition(s) addressed to the Secretary signed by twenty percent of the membership in good standing. Amendments proposed by such petition(s) shall be promptly considered by the Board of Directors and must be submitted to the members with recommendations of the Board by the Secretary for a vote within three (3) months of the date when the petition(s) was received by the Secretary. SECTION 2. The Constitution and By-laws or the standard for the breed may be amended at any time provided a copy of the proposed amendment has been mailed by the Secretary to each member in good standing on the date of mailing accompanied by a ballot on which he may indicate his choice for or against the action to be taken. Dual-envelope procedures, described in Article IV, Section 4d, shall be followed in handling such ballots, to assure secrecy of the vote. Notice with such ballot shall specify a date not less than thirty (30) days after the date of mailing by which date the ballots must be received by the Secretary or an independent business or organization qualified to count ballots. The Board shall appoint tellers or designate an independent business or organization to count the ballots. A 2/3 vote in the affirmative from members in good standing with the Club who returned valid ballots within the time limit shall be required to adopt all amendments. SECTION 3. No amendment to the Constitution and By-laws or to the standard for the breed that is adopted by the Club shall become effective until it has been approved by the Board of Directors of the American Kennel Club. SECTION 1. The Club may be dissolved at any time by the written consent of not less than 2/3 of the members. In the event of the dissolution of the Club, other than for purposes of reorganization, whether voluntary or involuntary or by operation of law, none of the property of the Club nor any proceeds thereof nor any assets of the Club shall be distributed to any members of the Club, but after payment of the debts of the Club, its property and assets shall be given to a charitable organization for the benefit of dogs selected by the Board of Directors. SECTION 1. At meetings of the Club and Board, Robert’s Rules of Order will be followed in the conduct of the meetings. SECTION 1. The rules contained in the current edition of Robert’s Rules of Order, Newly Revised shall govern the Club in all cases to which they are applicable and in which they are not inconsistent with these By-laws and any Special Rules of Order the Club may adopt.